From the title of this article you may be like “What?? But that is an emergency!” and you are absolutely correct. But here’s the thing: anytime a child is locked in a vehicle the fire department or the police are the ones who need to be called. While it seems that this would be something a locksmith should take care of, it is actually a huge liability and in most cases the fire department or the police will be there much more quickly. In the hot summer months when it is 90 degrees outside, a cars inside temperature can reach up to 110 degrees in just 10 minutes. If it is hotter than 90 degrees outside the temperatures can reach 130+. However, it is important to note that the outside temperature does not have to be hot in order for a car to become an oven-like death trap. Even temperatures considered mild can lead to death during an extended period of time. In winter months, the car can reach temperatures below freezing, causing hypothermia and frost bite. Thinking of Buying a New Truck? Here Are 2014’s Winners. When most of us think of Texas, we think cowboys, boots, and trucks. And we’re not far off: Ford Motor Company has recently won 8 awards in this year’s Texas Auto Writers Association’s annual Truck Rodeo. 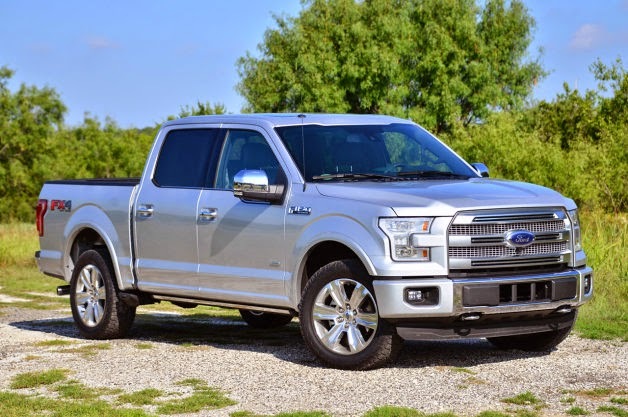 Stepping up their game and remodeling their signature F-150 into an aluminum body instead of metal has gained them the prestigious award of Truck of Texas, ending the Ram 1500’s two-year winning streak. Ford went on to win another 7 awards, including best full size pickup, best luxury pickup, and best truck line of Texas. While it wasn’t a complete wash out with Jeep winning 5 awards, Ford definitely dominated this year’s Truck Rodeo. Some runners up included Chrysler and Lincoln, winning awards for best SUV and CUV, respectively. https://autolocksmithportlandor.com/wp-content/uploads/2013/04/D-L-Locksmith-Logo.png 0 0 zebraz https://autolocksmithportlandor.com/wp-content/uploads/2013/04/D-L-Locksmith-Logo.png zebraz2014-10-09 23:08:202014-10-14 17:27:06Look, Ma! No keys! Is your car on the 2013 list of most stolen? The National Insur ance Crime Bureau (NICB) just released its yearly report on the top 10 vehicles that were stolen in 2013, and the results are not looking good for those who have a mid-range priced car. Most cars after 1995 have a transponder system, or better known as a FOB system. The transponder system (transmitter + responder) allows the key to “talk” to the computer inside the vehicle, which in turn allows the key holder to turn on the car. If multiple attempts are made to turn an ignition with a non programmed key, the computer will freeze the car, requiring it to be restarted by a locksmith. https://autolocksmithportlandor.com/wp-content/uploads/2013/04/D-L-Locksmith-Logo.png 0 0 zebraz https://autolocksmithportlandor.com/wp-content/uploads/2013/04/D-L-Locksmith-Logo.png zebraz2014-08-20 20:18:272015-12-06 22:34:42Is your car on the 2013 list of most stolen?